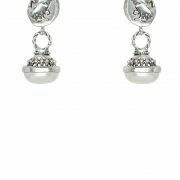 The Azure Earrings in Silver by Kitte are a beautiful statement drop earring. Featuring a beaten silver medallion and luxe baroque pearl, this earring falls just above the jawline. Perfect for special occasions, and everyday style. Available in antique gold and silver. Crypt is a collection of elevated statement jewellery inspired by ancient ruins and elaborate artefacts. – Care Instructions: Polish with a silver cloth, avoid contact with cream and perfumes. 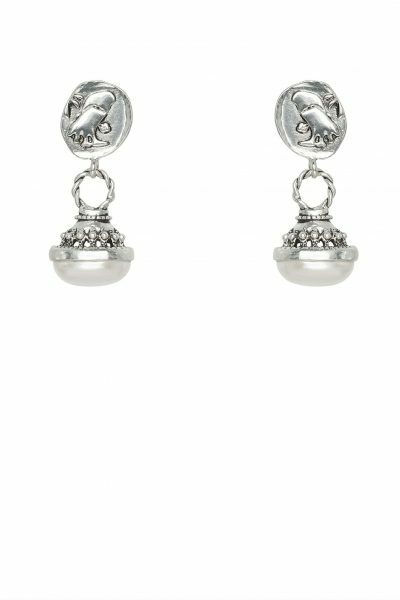 Receive your Earrings brand spanking new. All of our items have NEVER been tried on before…So you can shop with piece of mind that you are getting a quality item that has never been worn.